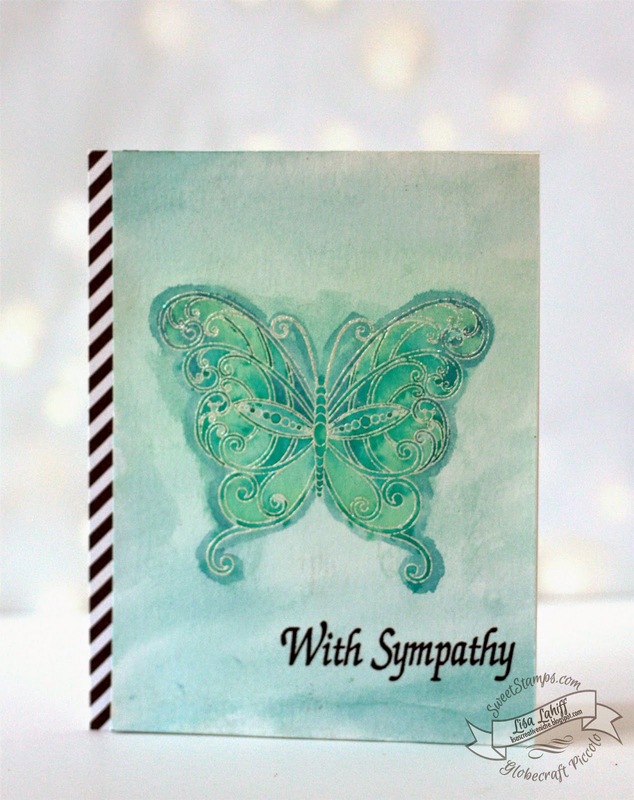 To create this card I started with a panel of watercolor cardstock. 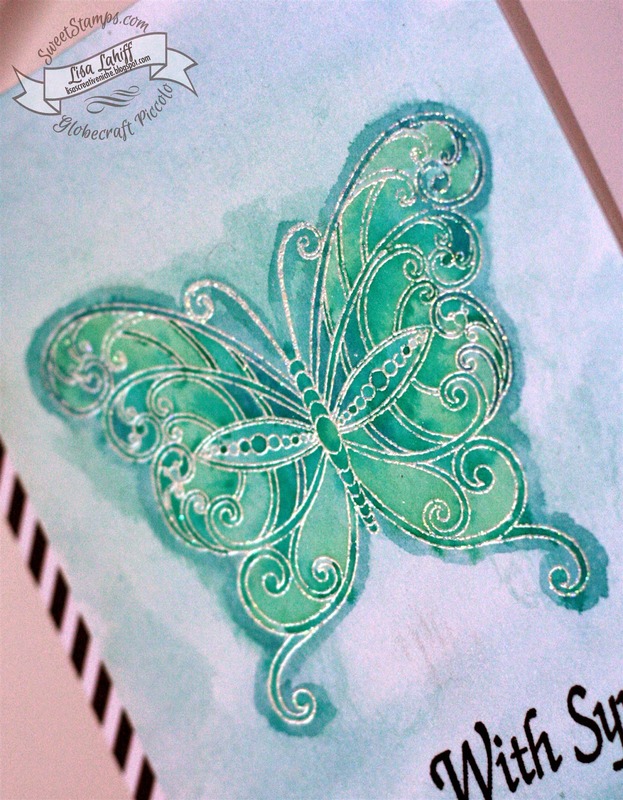 I then heat embossed the butterfly before wetting the whole panel with water and a brush. Next I "smooshed" some distress ink onto a craft mat and begian picking the colors up and dropping them in letting the water do the work. Once I had covered all of the butterfly I went back over to make certain areas darker. I then went in with some blue distress ink to cover the rest of the background. 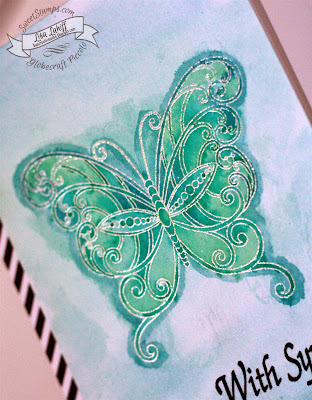 When it was dry I then stamped the sentiment and added the strip of patterned paper down the side. Thanks so much for stopping by and I hope you will have time to join in our challenge!